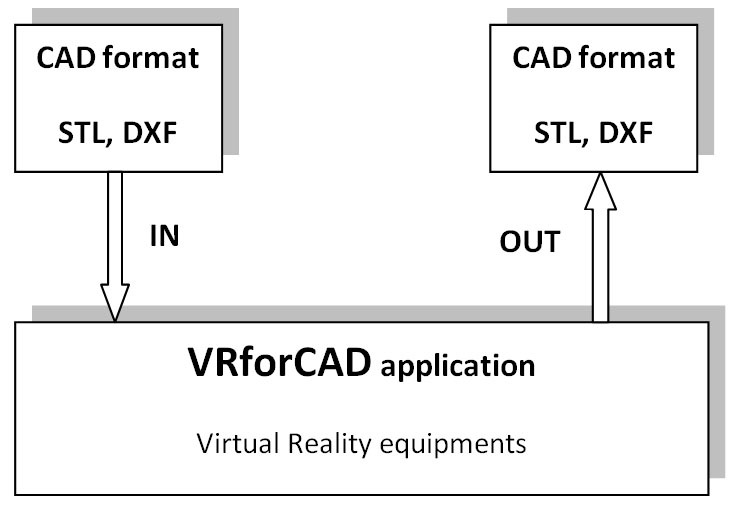 VRforCAD application combines two systems: the well known Computer-aided design (CAD) system and Virtual Reality system with its special equipments for visualization and manipulation. The CAD models in DXF and STL formats are imported and visualized in a Canvas3D with active stereoscopic display. The 3D models can be manipulated (rotate, zoom, translate) and modify its surfaces by pushing, pulling and dragging. At the end, the models can be exported in DXF or STL format to be compatible with CAD system. With respect to Virtual Reality equipments, VRforCAD has a module for stereoscopic visualization (which can be extended from HMD to CAVE system) and a module for input device (which can be extended from 3D navigation device to haptic device). Also, there is a module (under development) which performs a collaborative work environment. - anyone who enjoys OpenSource software and is interested in this field of research. - Import/Export DXF, STL and X3D formats (all three are customized Import/Export classes, (at this moment, for X3D just import)). 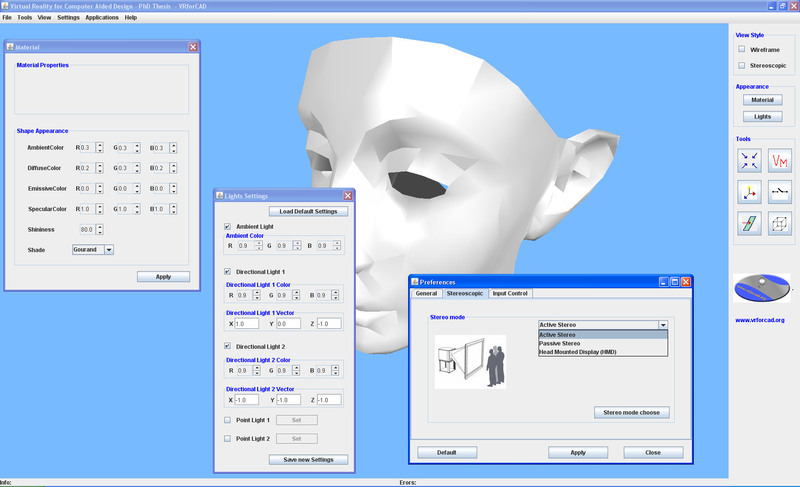 The models can be converted between stl, dxf, and vfc formats (vfc: application's own format). - keep the 3D models on a online Unix server (using a MySQL database), thus the users can access the same database from different location. Also when a user modifies a model from database, the new model doesn't write the old model (is added a new version, all versions being keeping on database to prevent mistakes). 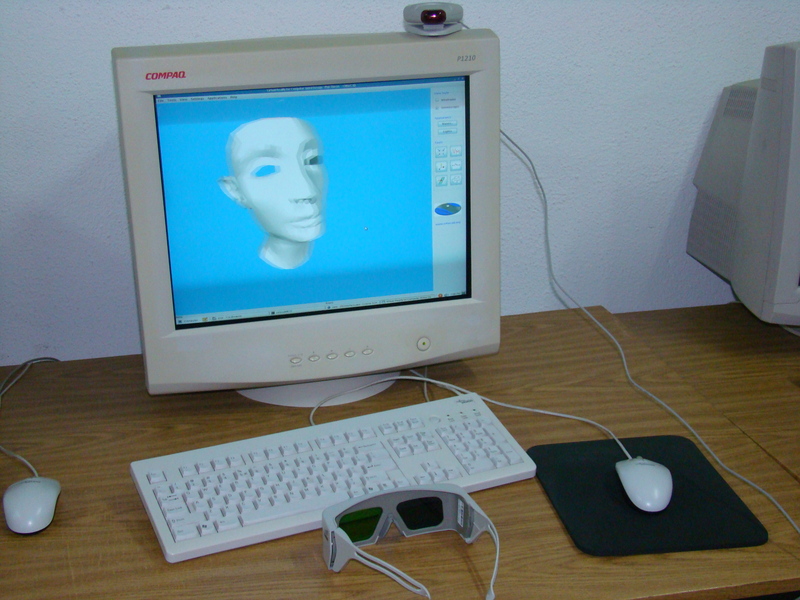 The cross-platform capability was the reason to choose Java language for developing the VRforCAD application. 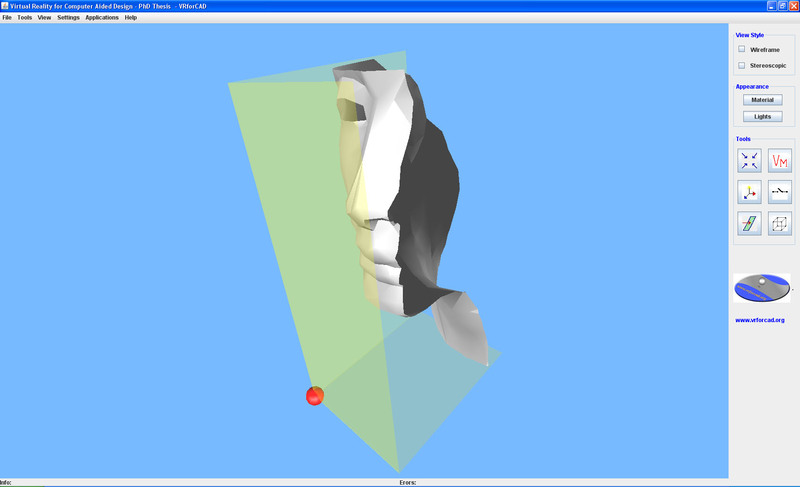 The application contains a Canvas3D, and SWING components. The next screenshot shows the application running on Win Xp. With dynamic section feature, the user may cut (in dynamic mode) the shape by six planes (showed in the next two screenshots); also, concomitance sections are allowed. Screeenshot Dynanic Section in VRforCAD. 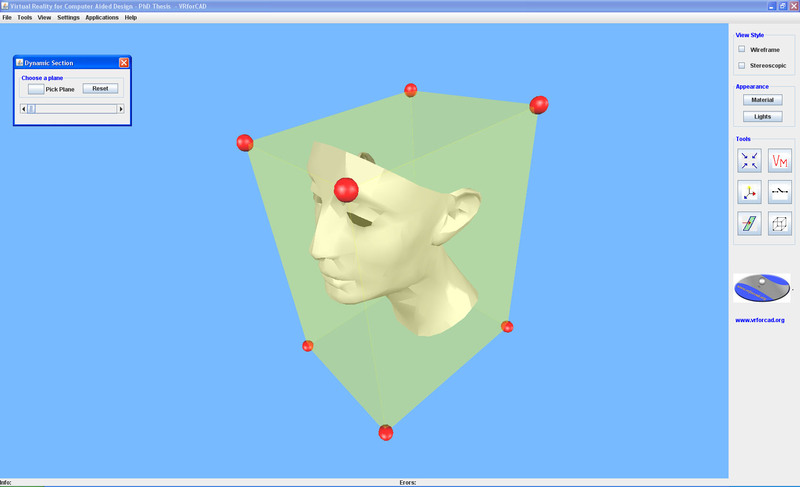 VRforCAD in stereoscopic mode running on Linux. 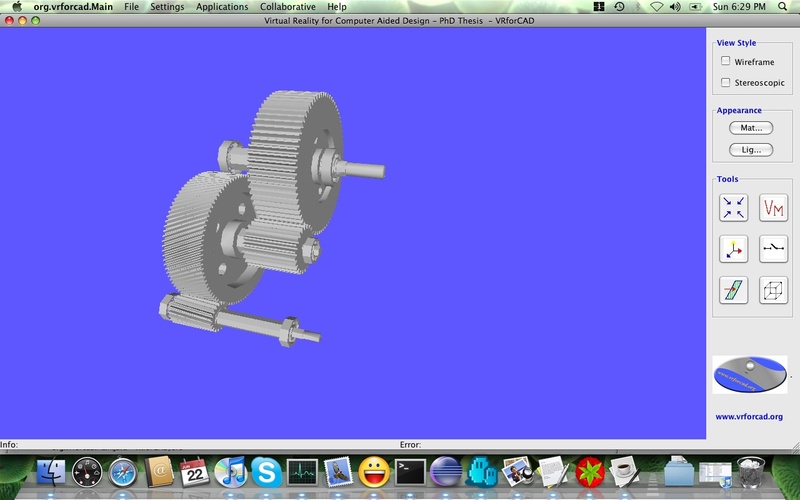 For instruction about how to run VRforCAD on Mac OS X see the Download Section. The VRforCAD application makes some steps toward the use of Java3D API to develop more complex Virtual Reality applications.